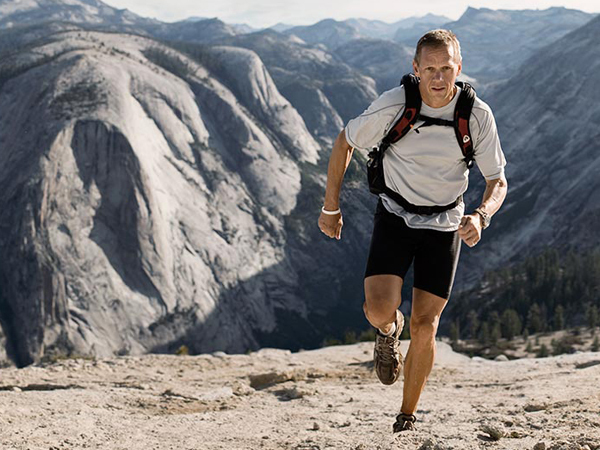 Running 100 miles has become common place among the growing community of Ultra Runners. Few can say they have run over 4600 miles across the Sahara Desert, to raise awareness of the need for fresh water in Africa for an HBO documentary titled “Running the Sahara”. Charlie can. He can also talk about his run across the United States or his most recent 7 day stage race in Ecuador that began at an altitude 12,000 ft. and continued with over 155 miles at altitude for the duration of the event. Yes, Charlie Engle is an extremely unique runner and is always fun to chat with. Listen as we catch up with one of the most colorful ultra-runners of our time. During the podcast, you mentioned that you had just written an article about Hokka shoes – where can I find it? The article was written a few years ago for LA Sports & Fitness Magazine.